Richa are launching a new range of protective clothing that will incorporate Gore-Tex for the first time. The new range will include four jackets and two pairs of trousers and will be released in November, just in time for the worst of the winter slog. Until now, Richa have only used Gore-Tex in their gloves but they have now been approved to feature the technical layer in jackets and trousers too. The flagship products of the new range are the Atlantic jacket and trousers, which will feature a Gore-Tex membrane plus a PTFE coating with an additional membrane on the air vent flaps. Abrasion resistance is increased with the addition of aramid-reinforced fabric on exposed areas and protection also comes from the D30 armour that features at the shoulders and elbows with a level-1 back protector. 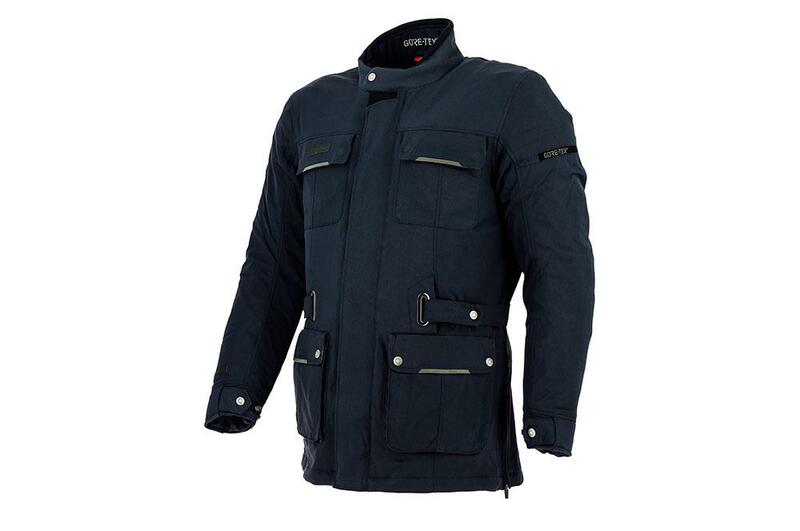 Colour options are either black or grey and the RRP is £599 for the jacket and £399 for the trousers. The Cyclone jacket and trousers utilise a three-layer system with a fixed Gore-Tex liner for year-round versatility. There is D3O armour at the shoulders, elbows, knees and hips and also the jacket boasts a level 1 CE-certified back protector. It comes in three colour options and has a 360-degree zip attachment zip and the option to add braces to the trousers. 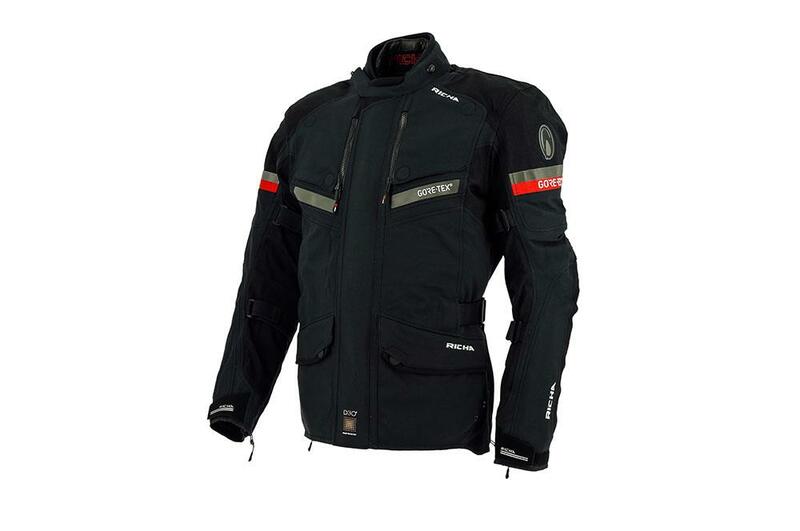 The Cyclone has an RRP of £399 for the jacket and £299 for the trousers. 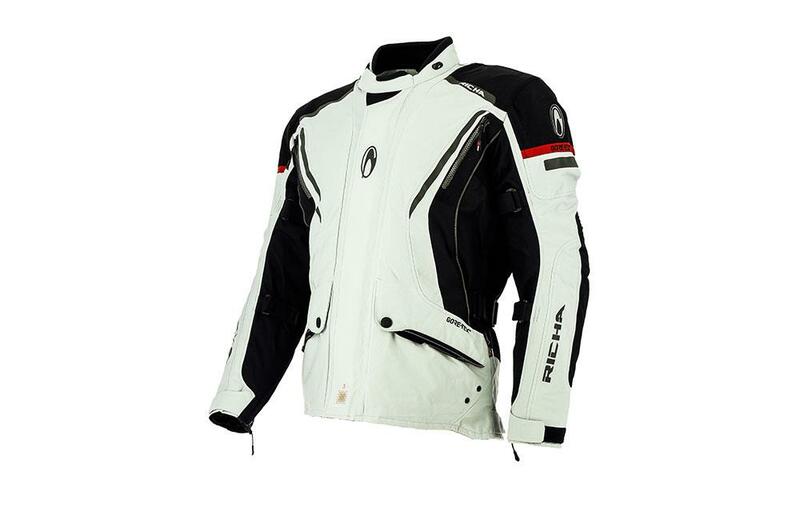 The Madison is the third jacket in the range and is suited to those who are looking for a more casual offering that Richa say will suit a more urban rider. Like the other jackets, it features a three-layer system with a fixed Gore-Tex lining. With protection from D30 armour at the shoulders and elbows and also a level-1 CE-certified back protector. It’s available in black, navy and green and comes with a RRP of £399. The final product in the new Gore-Tex range is the Atacama Jacket, which like the others features D30 armour and level-1 back protector. It comes with a three-layer system and a fixed Gore-Tex membrane, with a detachable thermal inner jacket that can also be worn independently. 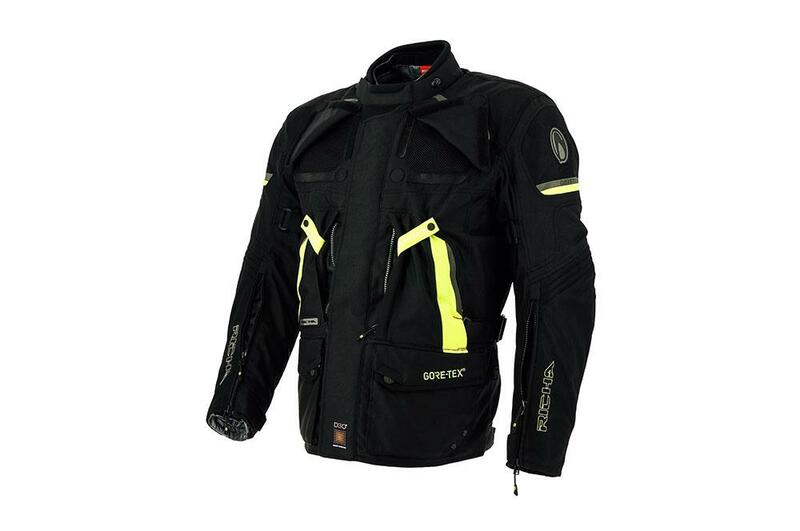 The air vents have magnetic openings for ease of use and the jacket is also compatible with the cyclone trousers. It comes with an RPP of £499 and is available black, fluro yellow and sand.